TEN has yanked Extant from Monday night following disappointing numbers. That was quick -at just two episodes. It will now screen the movie replay Cowboys & Aliens. Updated: On Monday 27th Monday a double episode of Under The Dome is now in play. 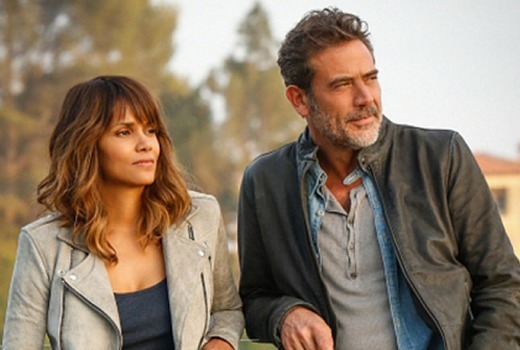 Extant moves to 8:30pm Monday 27th on ELEVEN with three episodes. Extant season 2 was just starting to get good, I think its time to start streaming online and quit commercial TV. The other night it started nearly 11Pm, I’m not staying up to nearly midnight on a Monday, they aren’t helping themselves by running programs late and expecting people to stay up later. if they want to stay relevant then they need to stay on time. Why does masterchef have timed challenges when the show itself drags on? What’s this? Extant is back? I had no idea and I was looking forward to Season 2! So I would suggest that their promotion was crap (as usual) and that is why no-one watched it! All they care about is endless, boring and predictable “reality”: shows that are promoted to death. And why would anyone bother to watch shows on FTA when they are shafted so quickly … they are kidding themselves. “Programmers” are a waste of money and time! Like all the FTA channels, they are continually wasting transmission time with endless plugs for their boring reality shows, hence running late. I’m sure the people that watch that rubbish, know when it’s coming on? I really liked Extant. I thought it was a good show. I hope it’s going to be shown on Eleven or One HD soon. Extant is moving to ELEVEN. It will start at 8.30pm on Mon 27 July, with 3 episodes to be shown back-to-back. The following Monday, 3 Aug, it will move to its *new* permanent slot of 9.30pm, with 1 episode. No idea what’s happening with Witches of East End, which is currently in the 9.30pm slot on Mondays. Under the new regime of no amendments from TEN, they will have to wear any errors I’m afraid. They have not advised me it is moving. TEN’s policy of no amendments is crazy, especially for a show that’s only had 2 episodes in the current schedule before being abruptly withdrawn. They shuffle their shows around like card sharps, and then wonder why they’re doing so poorly in the ratings. Just out of curiousity -where did you get that info? I rang up channel TEN and spoke to someone in the programming department. That’s some serious intel Phoenix. Are you getting the elusive amendments? Sadly, no. I just got lucky and spoke to an actual person in TEN’s programming department, instead of an answering machine. Confirming 3 episodes 8:30pm Monday July 27 on ELEVEN. Hawaii Five-O had its season finale on ONE the other night. Pretty sure they’ve been repeats but happy to be corrected. Actually, won’t be happy if I’m corrected because I’ll have then missed it! No surprise. The two episodes so far have really limped. I’m not sure I’ll seek out the next. Perhaps I just haven’t been watching enough ch10 to see the ads, but I didn’t even know the show was on again, and I liked s1! After the way that Ten treated Extant in S1 last year, it should come as no surprise that anyone with a brain in Ten that people whom wanted to see Extant would have started doing so by other means after it got jerked all around the schedule last year, they are not going to go back to FTA TV and while they are there on an online streaming site, they start making the discoveries like “Oh they have other decently produced drama/sci-fi/action and comedy scripted shows here for only $10 a month and no interruptions with advertising, chasing around the schedule and viewable when I want. Australian FTA TV programmers – helping illegal download sites, DVD sales and now legal online streaming businesses since 2004. Yes indeed! Why would anyone even try to watch anything other than reality rubbish on 7, 9 or 10?